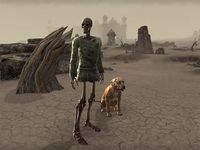 Help a dog find buried bones. 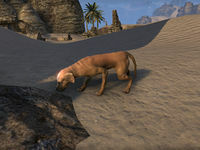 I met a sad looking dog beside a path in the Alik'r Desert. She seems to want my help. Talk to Musi and dig up what she has found. Follow Musi and collect the bones.